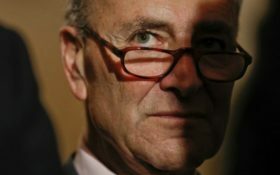 Under the leadership of Senate Minority Leader Chuck Schumer, Democrats made the phony Russia investigation their one and only issue against President Donald Trump. Now that the investigation has cleared the president, are they ready to accept defeat and move on? Schumer and his pals are busy flogging a dead horse… demanding the release of the full report from special counsel Robert Mueller. But a new poll may forever shut them up. It seems that nothing in the full Mueller report is going to change the minds of most Americans on Trump. Americans know what’s true. They know what they believe. They know that nearly two years of the so-called “witch hunt” have been more than enough. And they know what Attorney General William Barr wrote in his summary: There’s NO EVIDENCE of collusion… and NO EVIDENCE of obstruction. 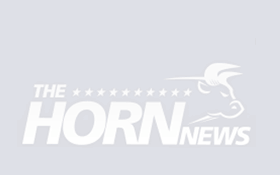 As a result, the poll from HarrisX and The Hill finds nearly three-quarters of Americans – voters on both the left and the right – say the full report doesn’t matter and won’t change their opinions. That includes 61 percent of Democrats… 85 percent of Republicans… and 73 percent of independents. Just 28 percent overall say they can still be swayed – and even among them, you can bet there’s not a whole lot of wiggle room. For Schumer and his pals that are depending on Mueller’s full report to revive the Russian narrative, that’s bad news. Separately, an NBC News/Wall Street Journal poll also finds that the end of the investigation and Barr’s summary of the report have done almost nothing to shift public opinion of Trump. Sponsored: WARNING: Have you taken this for your thyroid? “It was not an event that captured the American public,” pollster Bill McInturff, part of the team who conducted the poll, told CNBC. Imagine that. Americans actually don’t care about the “witch hunt” and would rather focus on issues that matter to themselves and their families such as jobs, wages, immigration, and education. But this shouldn’t be too surprising to anyone who’s been paying attention. Americans WANT to move on – especially since most have already said in polls that they would respect the results of the investigation. This is exactly what Democrats had been demanding. Convinced the report would turn up something damning, they made a big show of urging Republicans to accept the report before it was released. “Respect the investigation!” They cried. Now that the investigation is over and they don’t like the results, well, they’re the ones who don’t accept the results and don’t respect the investigation! A Washington Post/Schar School poll even finds that Democrat support for Mueller plunged, dropping 15 percent almost overnight when the results were released. So now, we’re in the sore-loser scenario with demands for more information despite the fact that most Americans accept that Trump has been cleared. It’s 2016 all over again! Democrats demanded throughout the campaign that Trump respect the election results and not question the outcome. They didn’t expect him to win. Then, when it didn’t go their way, THEY were the ones who didn’t respect the results and questioned the outcome – calling him a fake president, demanding resignation and/or impeachment and of course orchestrating the witch hunt based on the Democrat-financed dossier that we now know to be blatantly false. Nothing is getting done in Washington. Americans WANT their elected leaders to get back to work… but Democrats can’t because they’re still re-litigating the 2016 election. And now, they’re doing the same thing with the Mueller investigation. But there’s a reason Americans trust what they’ve seen so far: Mueller himself. If he didn’t like how Barr summarized it, he certainly could’ve spoken up. Sixty percent of voters believe that if Barr’s letter was inaccurate, Mueller would’ve addressed it – and that includes majorities of both Democrats and independents, according to the HarrisX poll. “The partisan fight over the summary and the release of the Mueller report is in full swing, and the findings reflect that tug of war, showing strong partisan divides. However most voters have faith in the process and the players involved, as do coveted independents,” Dritan Nesho, CEO of HarrisX told The Hill. And that means the more Democrats tie themselves to this dead issue… the less likely they’ll see any success in 2020.